The Department of Veterinary Pathology & Public Health is a recently established department within the Institute of Veterinary Science, bringing together the disciplines of veterinary pathology, veterinary public health and veterinary microbiology. The department is comprised of 13 members of academic staff including 6 lecturers in veterinary pathology specifically (1 Professor, 4 Senior Lecturers, 1 Lecturer). There are 2 residents in veterinary pathology that complement the veterinary pathology group, one of those posts is now available. The primary supervisor of the residency programme is Dr Richard Blundell, although residents will work with and receive day to day supervision from all academic members of the group. The Veterinary Pathology Diagnostic Service (part of Veterinary Laboratory Services) is based within the department. It is provided by the 6 pathology lecturers and 2 residents with the support of technical and administrative staff. It offers post-mortem examinations and services in histopathology (biopsies), immunohistochemistry and electron microscopy. The service performs ~300 post-mortem examinations per year across a range of domestic and exotic species – the majority of the caseload being dog, cat and horse. One of the members of academic staff (Prof Julian Chantrey) specialises in zoo animal pathology. An important component of the caseload is veterinary forensic pathology, a field in which the University of Liverpool has a particularly strong reputation. Experience in farm animal pathology is available through our collaboration with colleagues in the Leahurst Surveillance Centre, which is administered by the Livestock Health & Welfare Department, also based at the Leahurst Campus. It will be your responsibility to work alongside senior pathologists on the diagnostic rota. Initially this supervision will be very close, with greater responsibility being passed to the resident as training proceeds – final responsibility for cases i.e. signing off final reports, will rest with the senior pathologist, however. The rota consists of blocks of 4 weeks consisting of: post-mortem duty, biopsy duty, exotic or farm animal duty and a consolidation week. This consolidation week gives residents time to work up and report post-mortem cases and allows the pursuit of a small research project concomitant with the residency training. This rota may be altered according to operational needs as required. Residents will perform all the roles of the pathologist: post-mortem examination, recording of gross findings in a preliminary report, selection and preparation of tissues for further examination, rigorous and detailed histopathological examination and the writing of pathological reports. Senior pathologists will supervise all elements and this interaction will comprise the majority of the training. There is no specific requirement for out of hours duty, as the service is unable to offer this routinely. There are circumstances in which exceptions may be made and we may request residents to be available at a weekend for example. 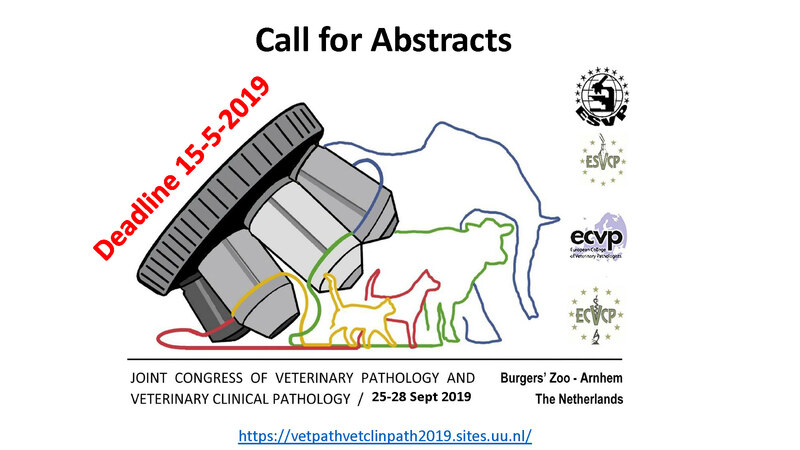 Residents are expected to register as trainees of the European College of Veterinary Pathologists. The University of Liverpool is a registered training centre and 3 of the senior pathologists are diplomates of the college. After 36 months of continuous attendance candidates are entitled to take the qualifying examination for the European College (Dipl.ECVP). Our residency programme is designed with training for this qualification as one of its main objectives. Specific exam focused training within the residency includes participation in the Joint Pathology Center Wednesday Slide Conferences where the skills of histopathological description are perfected. We also run journal clubs where contemporary scientific papers are analysed for experience in data analysis and comprehension of current scientific techniques, and where residents can keep up to date with the relevant literature as it is published. We have a wealth of digital gross pathology images for training for that part of the exam. Mock exams are available for use towards the end of the residency for specific exam preparation. Residents may attend the ECVP Summer School each year of the residency. Attendance at other CPD courses will be supported as long as budget allows. Residents also have the option to register as trainees with the Royal College of Pathologists as 2 members of staff are fellows of the college. Residents assist the academic staff in the delivery of undergraduate teaching. This comprises small group teaching of gross pathology and a necropsy class to third year students, including assessment of student reports; residents will also help supervise final year students whilst on pathology rotation. Residents may also assist lecturers in the delivery of histopathology practical classes. Research interests within the group focus of infectious disease, oncology, neuropathology and forensic veterinary pathology. We also collaborate widely with clinical colleagues on a broad variety of clinical research projects.